According to European Union (EU) figures, there should be €90 billion in benefits to be reaped by industry as a result of Europe’s €11 billion investment in Galileo. But what that really means is that there will be €90 billion in new income out there for someone to take. The European Commission (EC) and the European GNSS Agency (GSA) want that someone to be — well, no surprise here — European. If EU businesses and entrepreneurs do not step up to the plate, a major part of the Union’s argument for creating the system in the first place will have been blown out of the water. As the GSA’s Head of Market Development, Gian Gherardo Calini is responsible for getting European industry moving on the new opportunities opened up by Europe’s Galileo program. Calini proceeded to prove his point, listing key areas where GNSS markets are expanding and presenting new opportunities for business. For example, Europe’s satellite-based augementation system, EGNOS, has already achieved an impressive level of penetration in the agriculture sector, affecting as much as 65 percent of European farming activities. EGNOS is also making inroads in civil aviation, and Galileo, once operational, will be equally significant here, Calini predicted. Maps, data provision, app stores and content development; safer, more efficient maritime navigation, search and rescue — Galileo will be a major contributor to the international Cospas-Sarsat initiative. And no one can accuse him of exaggerating. The stage is now set for Galileo early operational services by the end of next year, with all services to be fully operational by 2018. But there is no sense at all in waiting for early or late Galileo services, he argued. “We need to accelerate this capturing of the 90 billion,” Calini said.” We want to maximize the return on our investment, and that’s why we’re all here. I am here to challenge you as representatives of industry to do more to capture your share of the market, in Europe and in the rest of the world. There are so many opportunities — the sky is the limit. It’s for you to imagine and invent. So, let’s go! Clearly, with everyone now confident and comfortable with the Galileo launch schedule, new applications are what it’s all about, for the European Commission as well. Michel Bosco, the Commission’s Deputy Head of Unit for EU Satellite Navigation Applications, underlined the importance of stimulating activity on the users’ side — not just apps that depend on Galileo/EGNOS, but those that can leverage any and all GNSSs. Much of the progress already made in getting the European GNSS industry up and running has been due to the Commission’s “Applications Action Plan” (AAP), launched in 2010 and running through the end of this year. 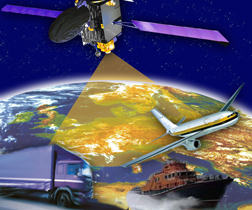 The AAP was aimed at encouraging universities and companies to work on GNSS applications. Its basic elements were, first, getting EGNOS operational for civil aviation. That has been achieved, although progress in certifying landing procedures is an ongoing process. Second, an awareness campaign, undertaken by the GSA, which Bosco sayid has been successful. Third, regulatory actions have been launched, and, finally, the financing of apps-related R&D, also overseen by the GSA. Bosco says Horizon 2020 — that’s the EU ‘s next R&D financial framework — will continue to fund GNSS apps-related R&D. The EC is now considering a second AAP, for 2014-2018. Indeed, one of the major questions for the meeting was whether phase 2 of the program is needed. Bosco says the second AAP would focus on cross-sectoral actions, boosting synergies with GMES/Copernicus (the EU/European Space Agency Earth observation program) and telecomms, and would seek ways to help European entrepreneurs find more funding sources. “Not enough money is going into SMEs [small- and medium-sized enterprises] that need it for GNSS technologies,” he said. Finally, the second AAP would have a strong regulatory component, although Bosco says the Commission is still considering its strategy in this area. Should it push for mandating Galileo readiness? To the exclusion of other GNSSs? Concerns were raised from the audience about the effects of regulatory mandates on air traffic management, where pilots are already complaining about too much equipment in the cockpit and costs for operators are rising. The Commission, Bosco said, is ready to listen and take all suggestions under consideration. With the overall message clear, some audience members had specific questions about future Galileo services, in particular the Commercial Service, which has yet to be fully worked out. 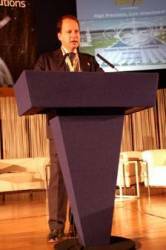 The EC’s Ignacio Fernandez Hernandez agreed that work still needs to be done to define the CS. Some form of encryption is on the table, he confirmed, but the Commission is still assessing the best way to achieve this. Encryption key in the receiver? Some other system? Bosco reminded the participants that the CS appears later in the sequence of planned early services, “but we are committed to deliver it,” he said. Officials are considering what weight to place on accuracy and precision versus authentication and other characteristics. Another audience member, representing Astrium Services, a company active in the geospatial information market, expressed concern that the CS could actually threaten his company’s business. Of course, it is quite reasonable to wonder whether the CS, representing a service that overlaps at least to some extent with existing location-related paid services, could hurt existing providers. Whether on the question of stimulating GNSS investment, funding research and development, pushing for the right regulatory schemes or just getting out there and doing business, one thing seems clear — the EU is putting more and more of the onus in the hands of industry.